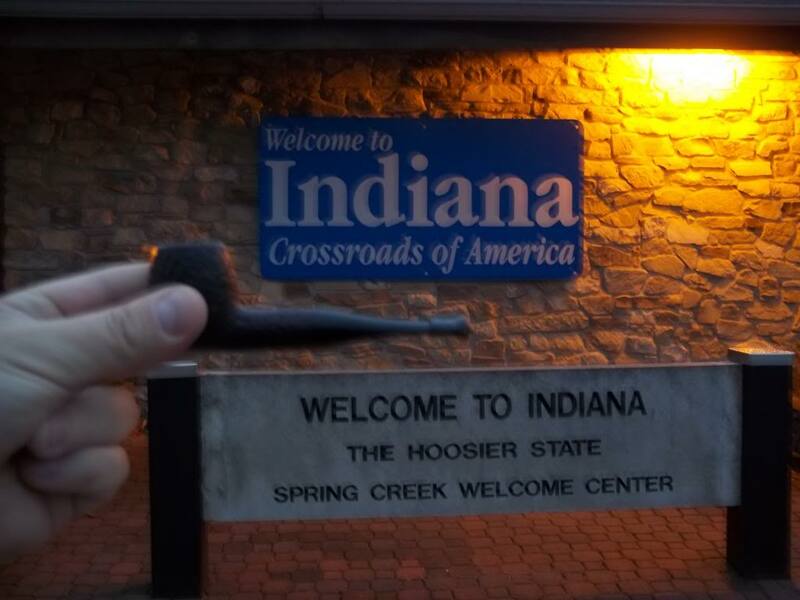 I starred smoking pipes about five years ago. 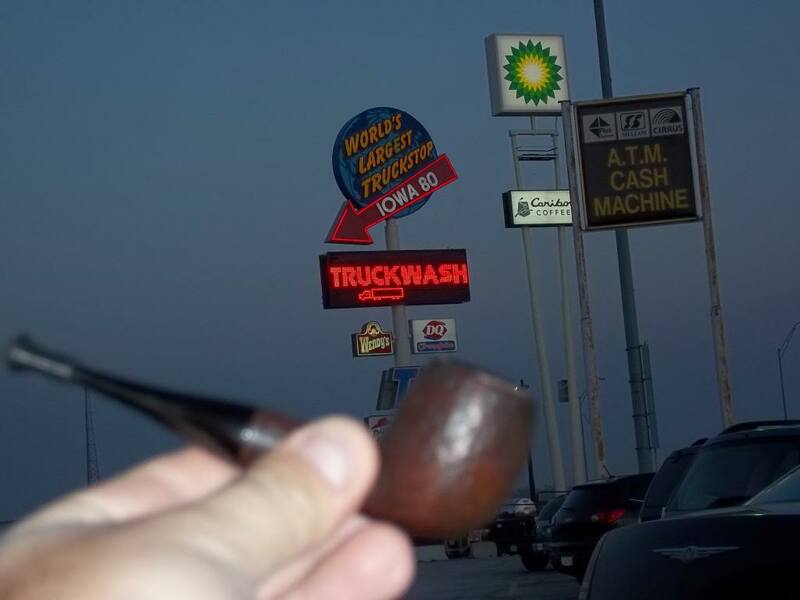 Early on I was afraid to spend any kind of money on a pipe because I didn’t know what I was looking for. Someone suggested buying estate pipes for more affordable prices. I was attracted to the freehand Nordings at the time and found a nice 80’s era grade F Nording pick axe on the Bay which caught my eye. I bought it for $40. It arrived sanitized and cleaned. It smoke beautifully and the bit fit perfectly in my teeth. It doesn’t tote the enormous bowl which Nording is known for, and the bit is thin and rather flat. I’d post a photo of it if I could,l figure out how. Either way, it’s really nothing special. It just smokes every type of tobacco perfectly and is very comfortable. Anyhow, I was fly fishing a favorite trout stream in Connecticut. I hooked a fish, and as I was trying to net it, my pipe fell out of my mouth and I watched it float down the river. I was crushed. This was my favorite pipe out of the 3 or 4 pipes in my humble collection. I knew a lot of regular fisherman on the river. I also knew the guys in the local fly shop pretty well. They all knew me as the guy with the pipe. About a week or so later, I stopped in the shop on my way to the river. One of the guys said, “hey I think I may have something you’ll like!”. He reached under the counter and pulled out my pipe. It was soggy and dull but still intact. Somebody found it on the river bank and assumed it belonged to “the guy with the pipe”, and returned it to the fly shop. I took it home and left it out to dry for about a week. I was sure it would never smoke as well as it did before, but to my surprise it did! 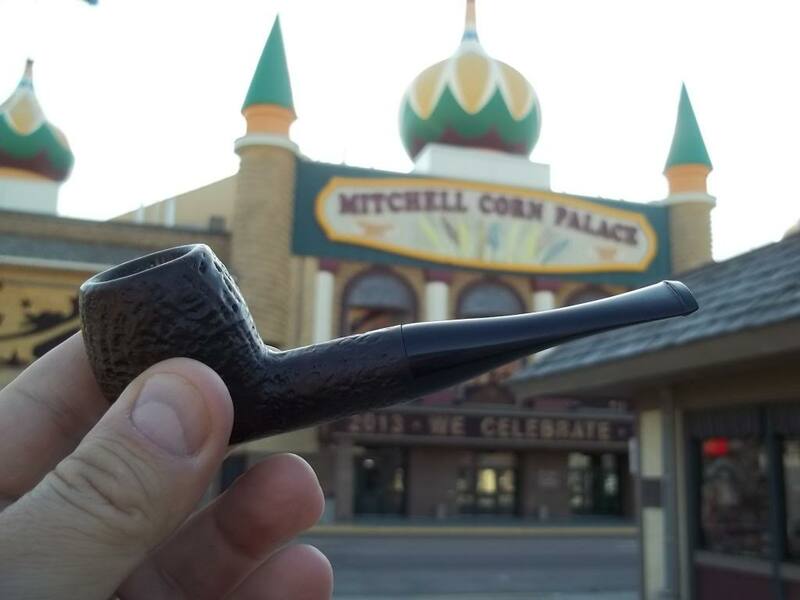 I’ve continued to smoke it for several years, and just recently I sent it to a friend to he restored. I’m smoking it as I type this thread, and it smokes better than it ever did. Today I have many pipes. Some cheap, some very expensive. 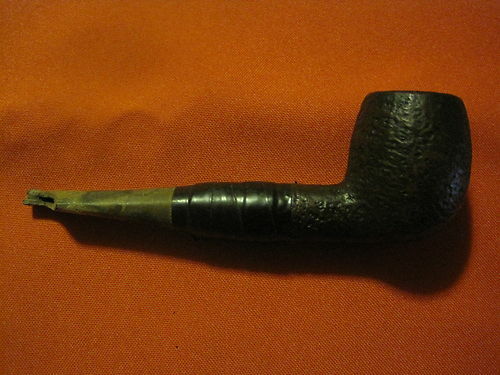 However, this one is still my favorite and best smoking pipe. Do you have a favorite pipe? 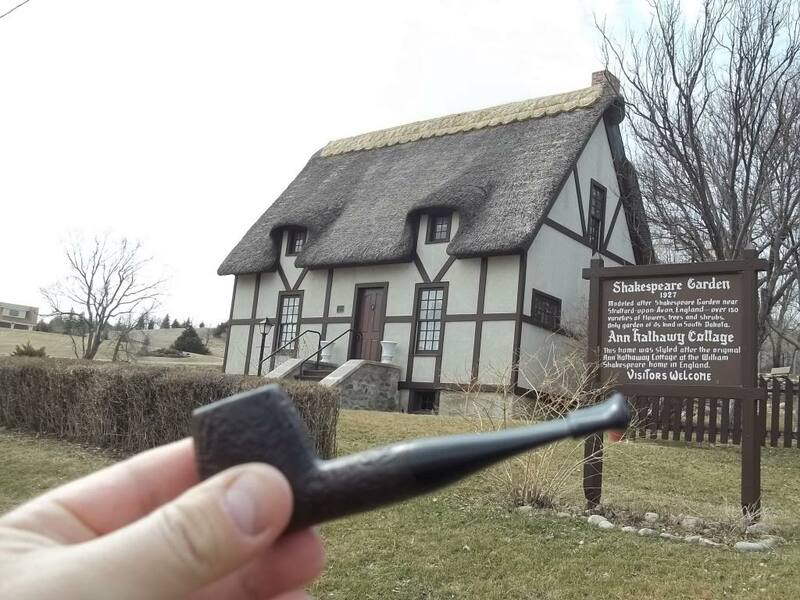 Or a pipe with a good story? I have one that my girlfriend (now wife) gave me for Christmas in '78. 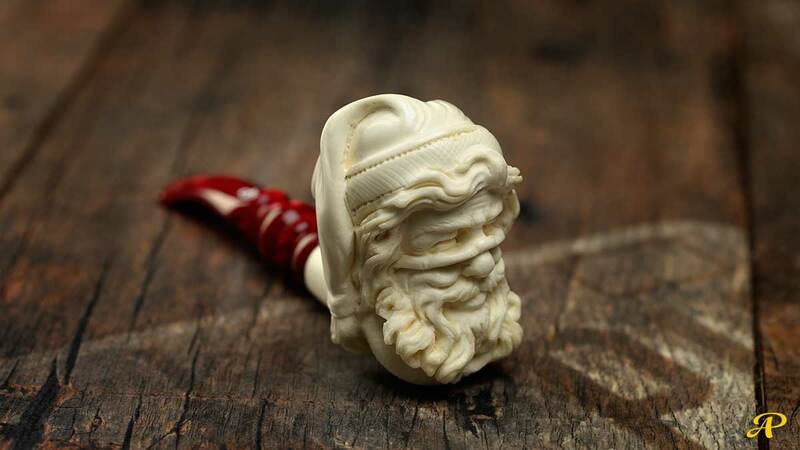 I have a few pipes I could classify as my favorite, but if I had to choose just one it would be my Altinok Santa Claus meerschaum pipe. I have many that stay more for the people/memories associated with than the preference to smoke. 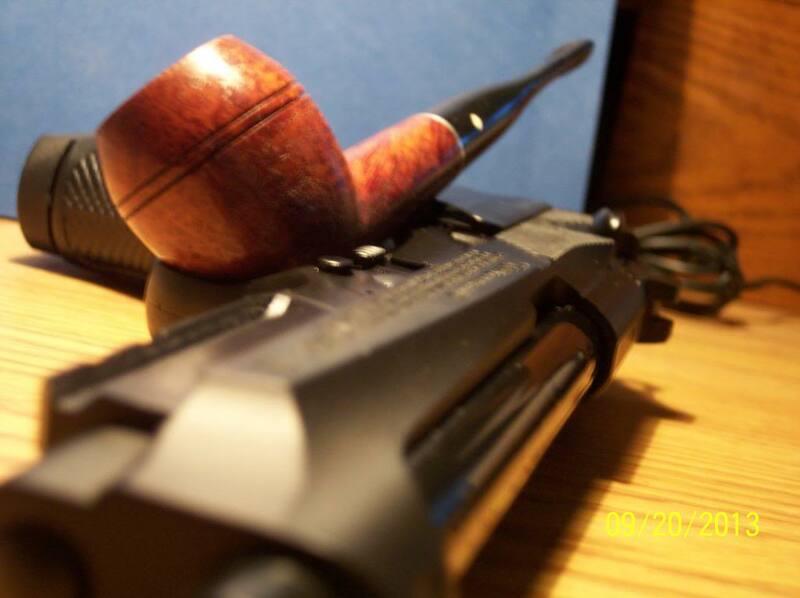 None with a story like that though I have had a few pipes come back into my hands by strange means. "Big Stinky" is the first pipe I bought. It is a large, el-cheapo billiard with a giant bowl and wacky engraving. I can't remember the last time I smoked it. The Digby below probably has the most sentimental value since I sniped it off the 'bay, refurbished it and then carried it with me across the country for a good long time. Smoked a lot of Carter Hall and PA in it. Good times, good times. I have quite a few pipes that are sentimental to me and all my pipes smoke pretty darn good. This is a tuff question for me to answer so I'm gonna say all of them.